Optimised for sportiness it goes from 0 to 100km/h in 4.5sec. 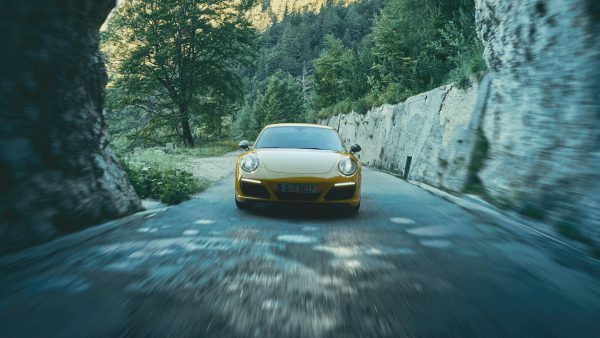 Rally in a 911 T.
With the 911 Carrera T, Porsche is reviving the puristic concept behind the 911 T of 1968: less weight, shorter transmission ratios from the manual gearbox and rear-wheel drive with mechanical rear differential lock for enhanced performance and intense driving pleasure. 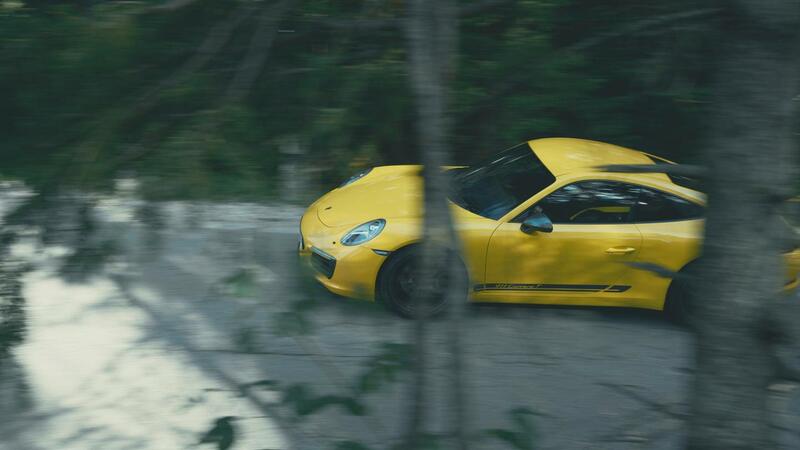 The model’s unique appearance is based on the 911 Carrera and its engine delivers 272kW (370hp). 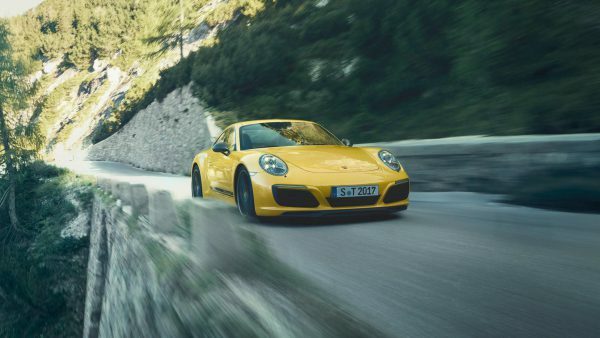 The 911 Carrera T – at Porsche, “T” stands for touring – also boasts features that are not available for the 911 Carrera, including the PASM sports chassis as standard, lowered by 20mm, the weight-optimised Sport Chrono Package, a shortened shift lever with red shift pattern and SportTex seat centres. In addition, the rear-axle steering system, which was not available for the 911 Carrera, is provided as an option. Every aspect is designed to optimise sportiness and deliver lightweight construction: the rear window and rear side windows are made from lightweight glass and the door trims feature opening loops. Sound absorption has been reduced to a minimum. The rear seats have been omitted, as has Porsche Communication Management (PCM). Both, however, are available on request at no extra cost. At 1 425kg, the two-seater is 20kg lighter than a 911 Carrera with comparable equipment. The six-cylinder flat engine has a displacement of three litres and twin turbocharging and generates an output of 272kW and 450Nm. 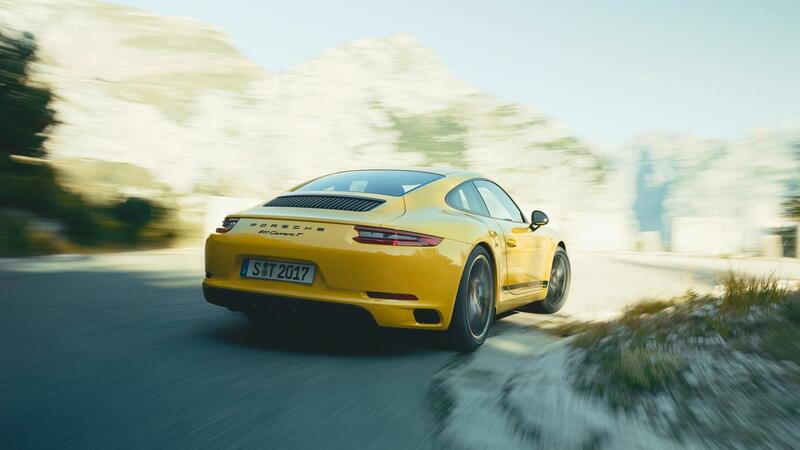 Thanks to the shorter rear-axle gear ratio and mechanical differential lock, the 911 Carrera T can sprint from zero to 100km/h in 4.5sec – 0.1sec faster than the 911 Carrera Coupé. The model reaches the 200km/h mark in just 15.1sec. Porsche Doppelkupplung (PDK) is also available as an option, enabling the vehicle to reach 100km/h in 4.2sec and 200km/h in 14.5sec. Both transmission variants enable a top speed of over 290km/h. The passenger compartment also has a sporty and puristic emphasis. The driver enjoys black, fourway, electric sports seats with a seat centre in Sport-Tex fabric, while the headrests feature a “911” logo stitched in black. This model also comes with the option to choose full bucket seats. Steering actions are completed via the GT sports steering wheel with leather rim and the mode switch allows the driver to select different driving programmes. The decorative trims on the dashboard and doors are black, as are the door-opening loops. 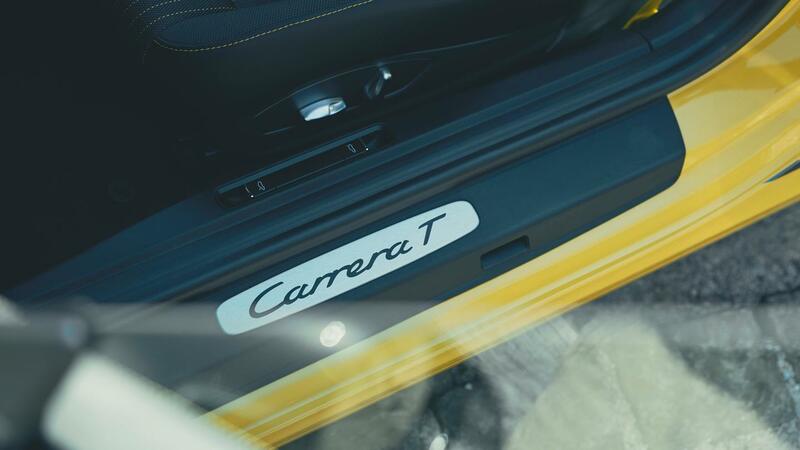 A new addition is the T interior package, which creates an even sportier look with contrasting colours of racing yellow, guards red or GT silver. These colours can be used to add visual accents on various interior components. Pricing from R 1 563 000 including a three year/100 000km driveplan.